Syndicated cartoonist and artist Tony Cochrane was born in Dayton, Ohio. He has been drawing since he was old enough to hold a pencil. He graduated from Carroll High School in 1972 and then studied at Columbus College of Art and Design in Columbus, Ohio earning a degree in Fine Art. He started out as a fine artist and his paintings were exhibited at various local art galleries in Ohio and also at the Columbus Museum of Art. Unfortunately fine art didn’t pay the bills so he spent 15 years working as an auto-body repairman. One day while drawing in his sketchbook he created Agnes, the character that would become the star of his comic strip. 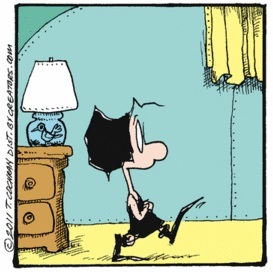 Tony’s strip Agnes was launched on March 8, 1999 and has now been running for over 12 years. 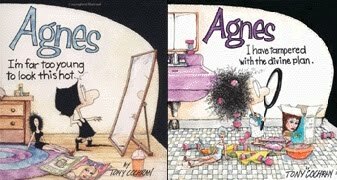 Syndicated by Creators Syndicate, Agnes follows the adventures of an elementary school-aged girl who lives with her grandmother in an Ohio trailer park. Even though she is poor and not the most attractive girl, she is still optimistic and dreams of better things. Unfortunately for Agnes, her best friend Trout and her grandmother constantly bring her back down to Earth by pointing out the harsh realities of life. There have been two collections of Agnes strips, "Agnes: I'm Far Too Young to Look This Hot" and "I Have Tampered With the Divine Plan". Tony has been a celebrity guest on NPR's "Wait Wait Don't Tell Me," and has also been a guest speaker at the Erma Bombeck Conference on American Humor. He is a strong supporter of community projects including those working with the physically and mentally challenged, literacy development, and pet rescue. 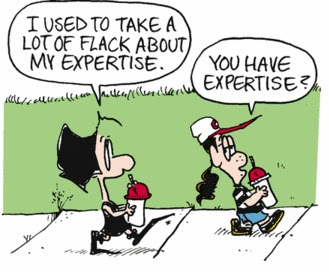 Tony is a member of the National Cartoonists Society and lives in Columbus, Ohio with his wife Vickie. 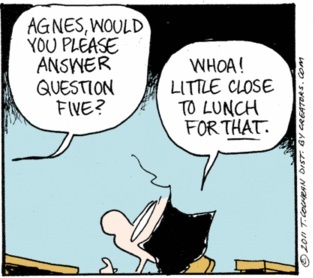 Read Agnes daily at GoComics.com. That part between the nose and the upper lip. 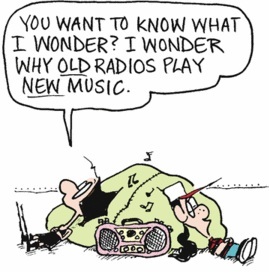 No radio, no TV, nothing. Columbus College of Art and Design. I have a big drawing board in a sparse yet unkempt three room office. The rest of the space has stuff I think I need but don't. Be prepared to eat cheaply and wear the same clothes for a long time.